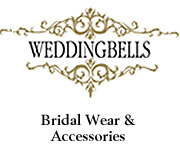 Your Wedding have been in operation since 2007 and were the first e-commerce wedding website in Malta. Your Wedding offer a diverse range of Wedding Souvenirs, Engagement Souvenirs and Bridal Party Gifts. We stock souvenirs ranging from the most practical to the more classical items. At Your Wedding, we source the best wedding souvenirs and other wedding related items from around the world without compromise. It is our aim to ensure every souvenir sold is loved and cherished by its recipient. We stock offer 80 products and also offer a further 100 items which are available on order. ‘Money Back Guarantee’ - While we go to great lengths to ensure all items are of great quality and design, in the unlikely event you are not completely satisfied with your purchase, we offer a 100% Money Back Guarantee. 'Price Guarantee’ - Our prices are the best available. In fact we GUARANTEE our prices are the best available anywhere in Europe through yet another customer focused initiative our Price Guarantee policy. Please view our online selection of wedding souvenirs, engagement souvenirs and other wedding related items. Should you have any queries or would like a product viewing, please don't hesitate to contact us by phone, e-mail, contact form or MSN. This page has been visited 11521 times.